Uzwil (Switzerland), August 23, 2016 – Bühler is showcasing more than 30 innovations at the Bühler Networking Days, leveraging megatrends that are transforming the grain-processing industry: nutrition, food and feed safety, sustainability, and the Internet of Things (IoT). With every generation of solutions, Bühler aims at reducing the use of energy, water, and other resources by 30%. CombiMill process with increased flexibility: The new CombiMill process allows whole-wheat flour for flatbreads, dark and standard flours to be produced using the same milling system. Customers benefit from increased flexibility in production. New generation of high-precision scale Tubex: This high-precision scale reduces energy costs by over 90%, maximizes food safety, and features a user-friendly control. 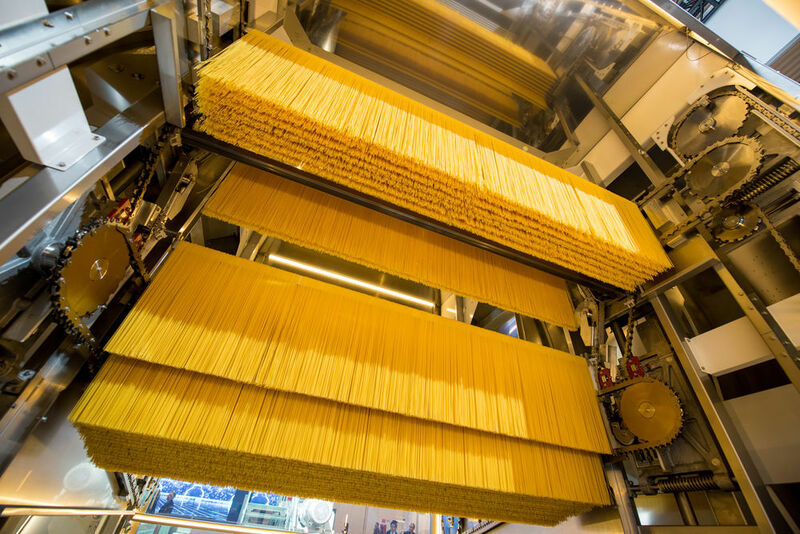 Energy-efficient pasta drying with Ecothermatic: The latest model of the one-of-its-kind pasta drying solution features energy savings of up to 40% and an increased capacity of 5,500 kilograms per hour. Novablue with increased food safety: The new, innovative sieve cleaner is easy to detect, both visually and through metal detectors, which is a critical food safety feature. Leveraging the tailwind of the megatrends of nutrition, food and feed safety, sustainability, and IoT, Bühler launched a number of important innovations to the market and is making good progress in utilizing the power of IoT. For instance, the new performance-boosting operator interface for plant control WinCos offers web-based functionalities, access from anywhere and on any device, improved user experience, customizability, and configurable reporting. First customers are convinced of the advantages: “With WinCos PocketPlant I know the status of all my process lines in the plant. It enables a fast and structured handling of problems and minimizes downtime,” says David Kamau, CEO at Proctor&Allan (EA) Ltd, Kenya. This world of digitalization, experimentation, and accelerated innovation asks for a combination of traditional knowledge and the dynamism of the new economy. In order to foster innovation and entrepreneurship, Bühler has become a founding partner of the MassChallenge innovation accelerator. 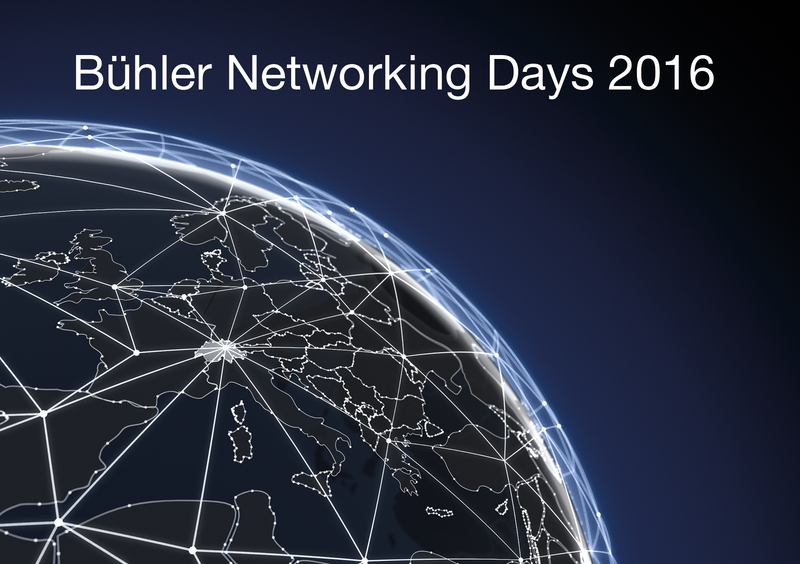 Three of seventy start-ups that are currently being trained and supported under the initiative will also be present at Bühler Networking Days. The company has also stepped up its research and development partnership with third-parties. In that context, the process technology group signed an agreement with Bosch to expand their existing research and development partnership on August 22, 2016. The two companies have already successfully cooperated in a two-year research project to integrate Bosch MEMS (micro-electro-mechanical systems) sensors into Bühler food processing technology. 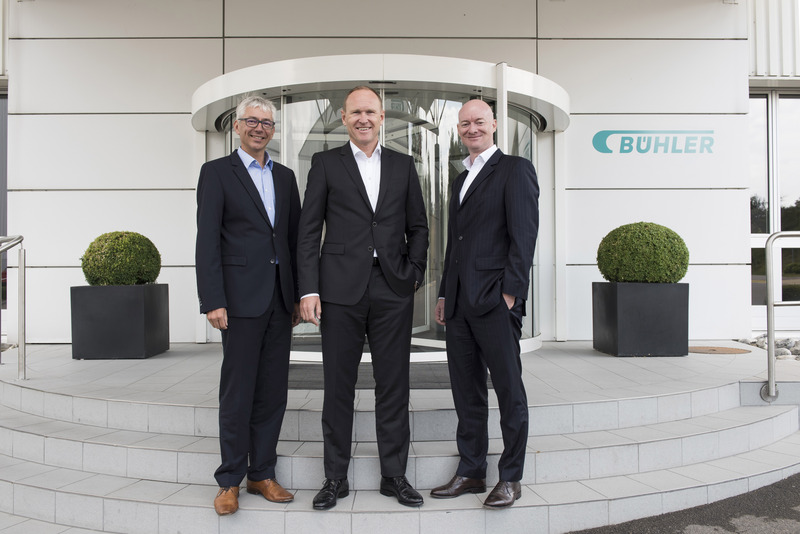 “We are excited to continue and extend our partnership with Bühler, a major industry specialist and leading company in the field of food-processing technologies,” said Thorsten Müller, CEO of Bosch Connected Devices and Solutions. First applications for customers in the grain-milling industry have been piloted. Further developments in all areas of rotating equipment are expected for 2017. Around 750 leaders from industry and science take part in the Bühler Networking Days. During the three-day event, top speakers from both the industry and science fields are engaging with renowned Bühler experts and other participants – with the key question of how to feed nine billion people healthily and sustainably. The event focuses on four transformative drivers that have a significant impact on the industry: nutrition, food and feed safety, sustainability, and IoT.